The BMW is equipped with a complex electrical system as per the luxury standards it upholds. The cutting edge technology BMW uses is a complex electrical system that occasionally needs to be repaired. Motorcars International has the experience to do anything from installing a new battery or alternator to identifying a faulty electronic module. Our technicians are knowledgeable in the new and old electrical systems in the BMW. 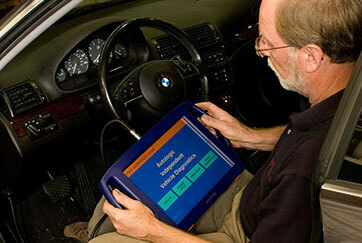 They can find, identify, and repair any electrical issues your BMW has. The electrical system should, ideally be tested every two years. Voltage variations can effect your BMW’s current and future performance. Whether it’s a dirty battery or loose wire connections, your BMW cannot function properly. Typically, your BMW will alert you when there are potential electrical issues. However, sometimes due to the location of the issue, the BMW will not give the notification, meaning it’s up to you, the driver to be aware of the changes in your BMW’s function. The certified BMW Electrical repair technicians at Motorcars International have all the diagnostic tools to correctly identify the problem no matter the BMW make or model. Beyond their extensive knowledge of BMW electric repair, their passion for BMW’s just fuels their devotion to provide you with the best service possible. If your BMW’s electrical system is giving you trouble, do not delay having it looked at. Come directly to Motorcars International and we’ll be sure to meet your needs at a price you can afford! Call us now at 770-766-8164.